The Philippines is home to a wide variety of fruits, both foreign and native in origin. Some common fruits that people are familiar with are bananas, mangoes, and pineapple. 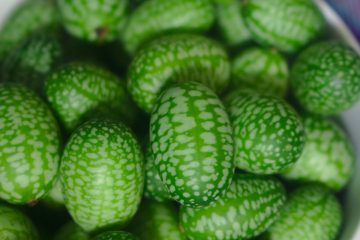 Often forgotten are indigenous fruits, ones whose trees used to populate backyards and whose fruit older people will remember fondly from their childhoods. 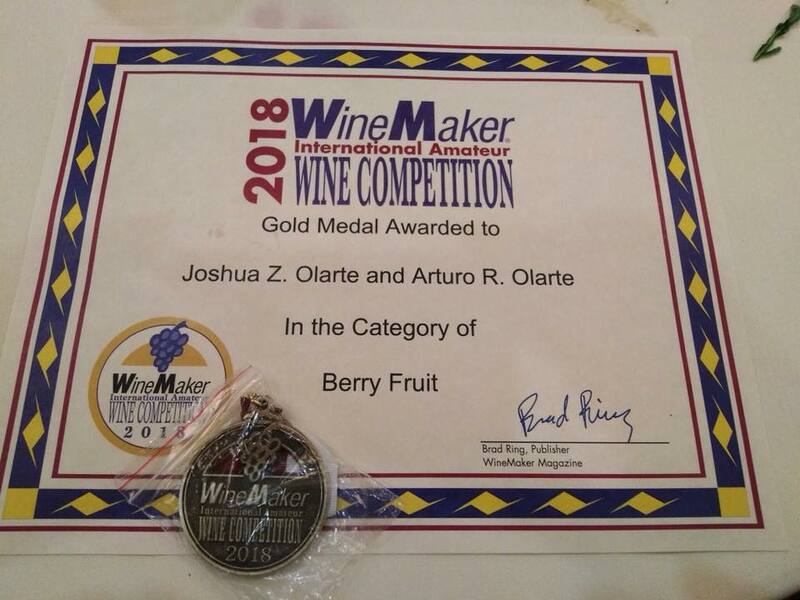 These native fruits have vast untapped potential, and it is precisely the opportunity to create something new from something familiar that led Arturo “Art” Olarte to create his own red wine mixture from an indigenous fruit. Art is a former mechanical engineer who worked in Saudi Arabia. Seeing that alcohol is completely banned in the country, Art decided to venture into making his own homemade liquor. He encountered some missteps in first attempts because he wasn’t completely knowledgeable about the process. 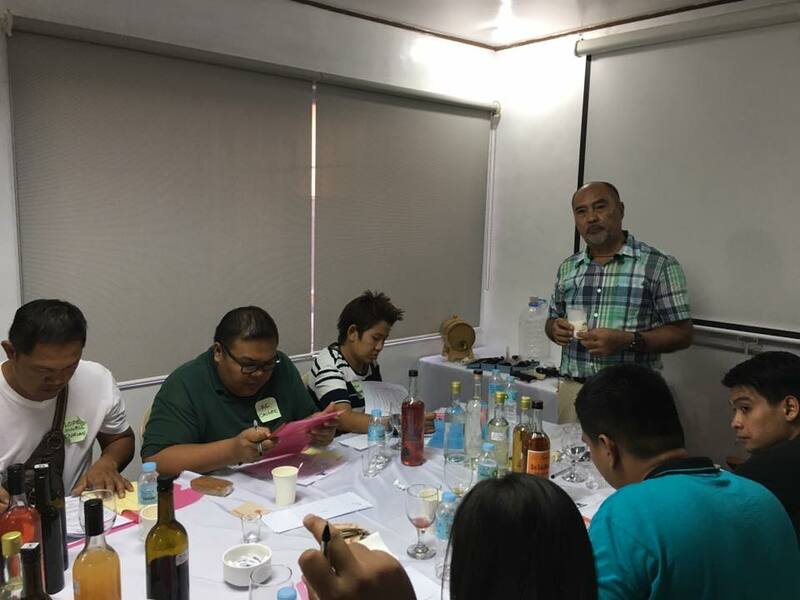 Art Olarte giving a workshop on winemaking to aspiring winemakers. “I had some failures din kasi marunong ako, pero kulang. I took classes in winemaking in United States kung saan tinuruan ako about making wine from grapes. Pagkauwi ko dito, tinuloy ko yung winemaking,” Art said. Now, Art has turned his hobby into a passion. 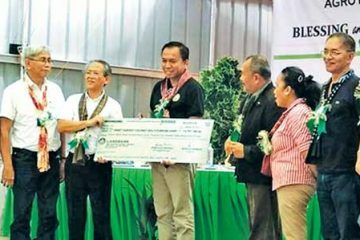 He started Vino Arsan Enterprises, a small business that produces high-quality handcrafted Filipino alcoholic beverages and vinegars that are developed by Art himself. One of the common products that Vino Arsan makes is Bugnay (or Bignay) wine that comes from Bugnay berries, a local berry that’s widely used in Ilocos Norte. Another berry that Art discovered during one of his trips is the lipote berry, known as igot in Waray and Baligang in Bicolano. The berry is endemic to Aurora Province, Quezon Province, Bicol, Samar, Leyte, and Misamis Oriental. Lipote has a distinct purple color and bears a resemblance to duhat. 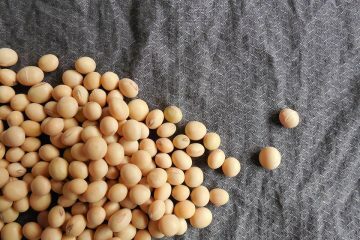 Lipote’s flesh is slightly sour but becomes sweet once ripe. “We went to a waterfall in Lucban, Quezon. Yung barangay captain, may puno ng lipote. At first time ko makakita noon. Sabi ko [sa kanya] dalhin ko muna yung extra para gagawa ako ng maliit batch ng wine sa bahay,” he said. Red wine made from lipote and another variety created by mixing Lipote red wine and Bugnay red wine. From there, the gears in his head started turning and Art saw the potential of turning the local berry into a red wine variety that he can be proud of. After three months, Art was satisfied with the finished product so he went back to the area toward the end of lipote season. He then took the initiative to purchase more berries to create a bigger batch of red wine. Art transformed lipote berries from local ingredients to world-class wine which he said should have a perfectly balanced taste between sweet and acidic. He went the extra mile by mixing it with Bugnay wine to make Libug red wine, which stands for the two indigenous berries: Lipote and Bugnay. In May 2018, he presented his product in the 2018 WineMaker International Amateur Wine Competition held in San Diego, California. Art’s product impressed the judges and resulted in him taking home a gold medal in the Berry Fruit Category. Art first joined the competition in 2016, where he won two silver medals and one bronze medal. This prompted him and his wife, Susan Olarte, to officially establish Vino Arsan Enterprises. 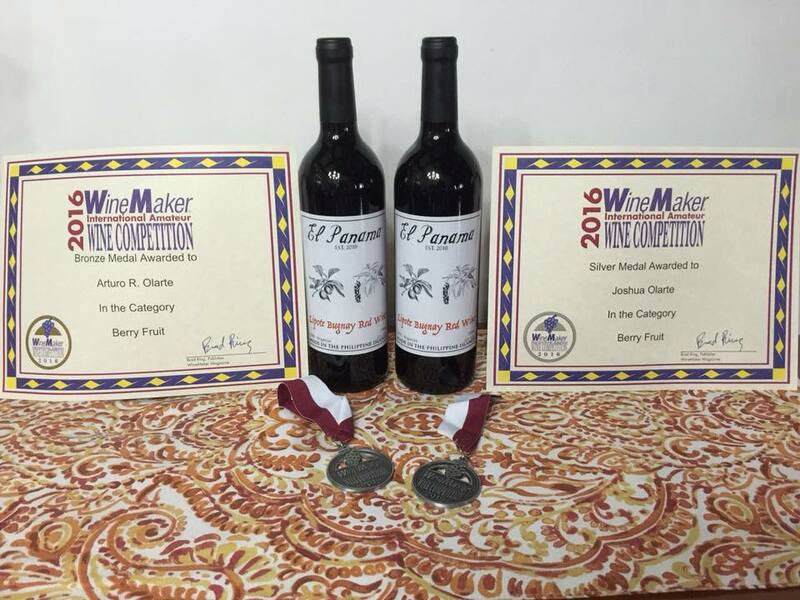 Art’s awards in the 2016 Winemaker Wine Competition. The Lipote and Bugnay red wine bagged gold in the Berry Fruit category. Despite gaining traction in the market, Vino Arsan doesn’t solely focus on making money for his and his family’s benefit alone. 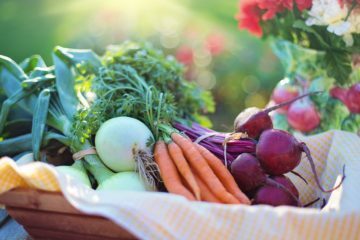 He sees that him as a vintner, or winemaker, should not only be to his advantage but also those of local farmers as well. Art believes that it’s better to be a social entrepreneur, or someone who establishes a business with the intent of solving social problems or providing aid to those in need. 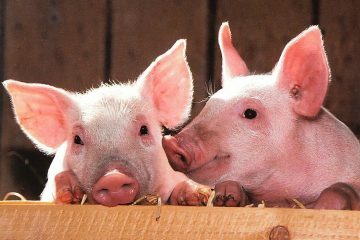 “Nakakatulong kasi sa farmers na may bumibili ng produce nila. Hindi yung pinapabayaan na lang nila tumubo tapos hindi man lang nila pinagkakakitaan,” Art said. 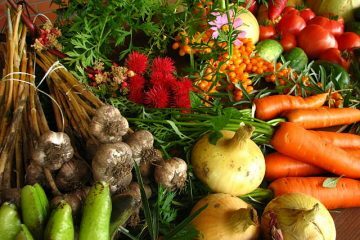 He added that buying their products encourages farmers to cultivate the fruits available on their land because it gives them a source of income while making local ingredients accessible to different businesses. 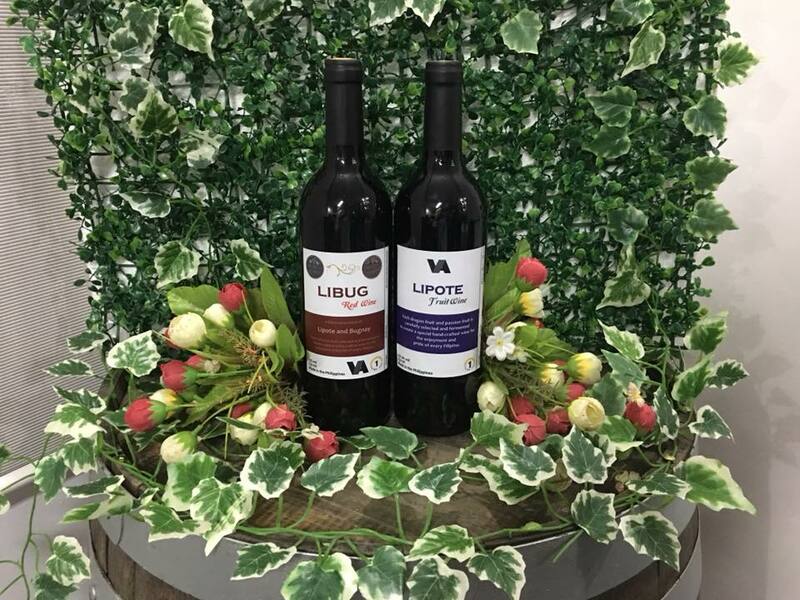 Aside from the Libug red wine that’s exclusive only to Vino Arsan Enterprises, they also have a wide array of wine made from different fruits found in the country. 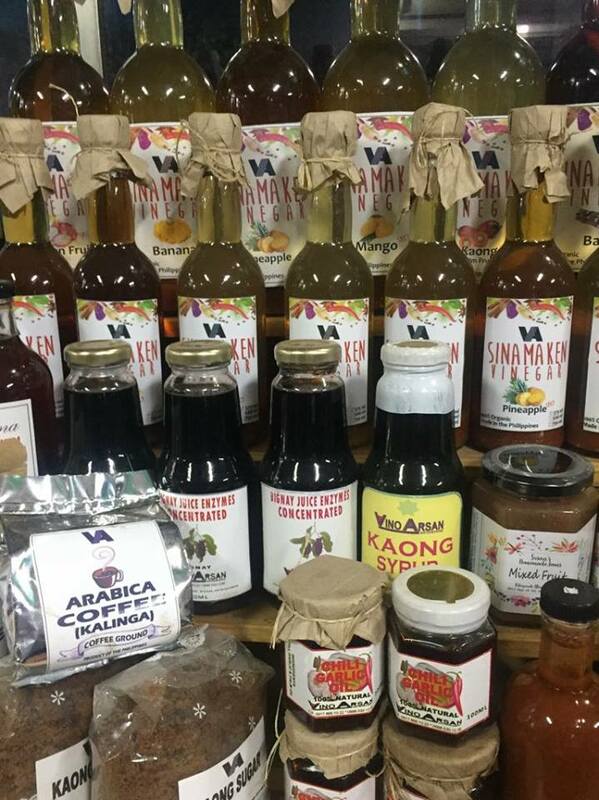 Some of the products they sell include Jackfruit wine, Malibug red wine (a mixture made from mango, bugnay, and lipote), Sinamakan vinegar made from mangoes, and more. The different products that Vino Arsan Enterprises also sells. 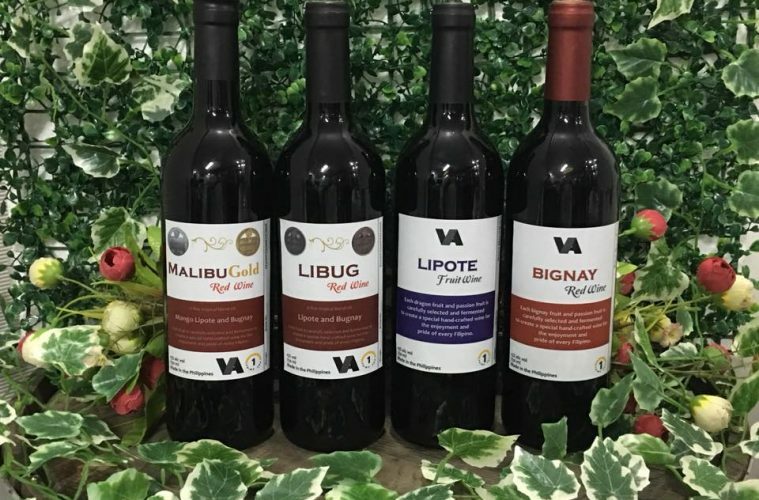 Vino Arsan sells their merchandise in trade fairs around the country and also accepts orders from those who want a taste of what indigenous fruits can offer. While Art and his family explore the local produce to open new opportunities for unique products, he is one of the many vintners who’s slowly earning a spot for the Philippines in the global wine making industry with the ingredients found in our own land.